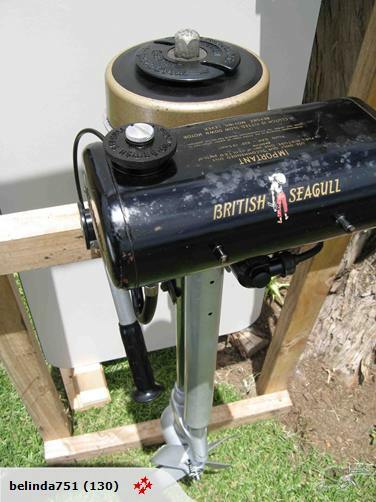 Down in New Zealand someone’s selling an unused British Seagull outboard bought in 1971 but still in its box. I haven’t seen one of those for a while! I’ve always liked the jolly logo of a matelot casually swinging an outboard in one hand, even if I’ve never actually seen anyone managing the trick of looking so relaxed while carrying an outboard of any make. Apparently it comes with a set of dye-line drawings for a 20ft British Seagull trunnel boat – and from the illustration this is a basic but good-shaped flat bottomed skiff with the outboard in a well. Does anyone know any more about this boat please? Thanks to Paul Mullings for pointing this out. Read more about Seagull outboards at the British Seagull website. Sign up now for the free weekly intheboatshed.net email newsletter.